The New Wave band Devo mocked the music industry from within. 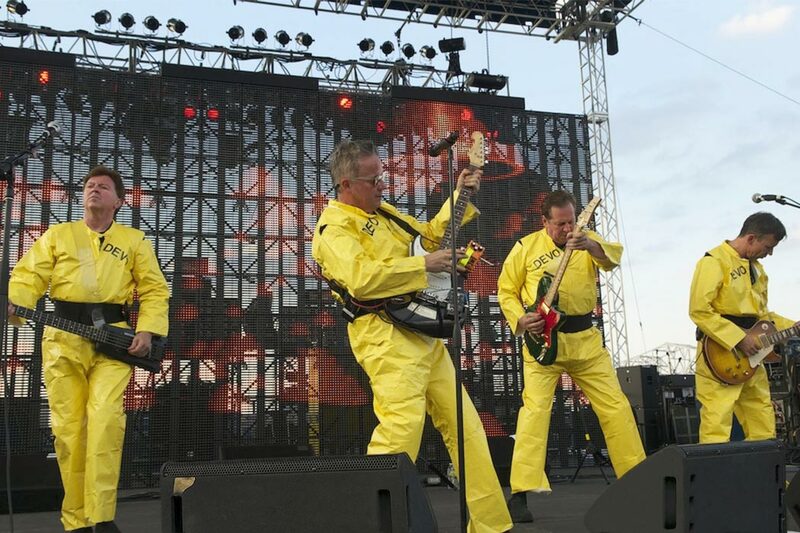 Devo onstage in their trademark bright yellow costumes. To understand Devo’s music, writes Cateforis, it helps to understand its context within the popular music machine of its day. 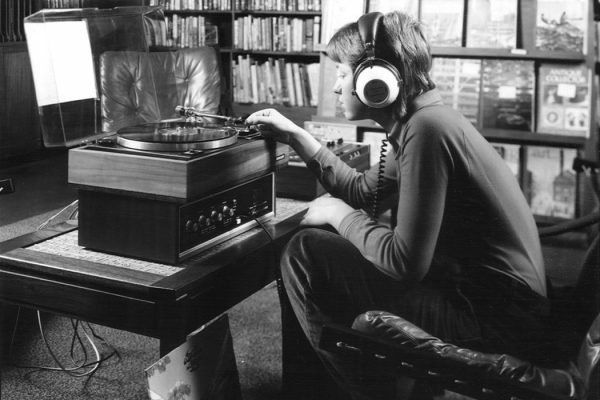 At the time of Devo’s much-heralded debut, disco music was king. The band’s blank demeanor, writes Cateforis, “symbolized the antithesis of disco’s presumed libidinal excess and display.” Devo’s music was mechanical and sterile—the opposite of the lush strings and sensual beats of disco. And its embrace of a jerky, robotic style of dance was just as disconcerting to its early audiences. Cateforis explores Devo’s cover of The Rolling Stones’ “Satisfaction”—an ironic interpretation of the song that co-opted reggae and funk rhythms in a robotic fashion that poked fun at the existing rock establishment. By performing the song in identical outfits and glasses and refusing to engage in the “emotive, sexualized gestures” of the typical rock star, Devo mocked the very industry it participated in. The stuttering vocal of the song, writes Cateforis, is indicative of the band’s “malfunctioning body, a white male one too controlled and too disciplined to appear natural.” Cateforis maintains that this stylized white body highlights “the results of the dictates on a white middle-class emotional sensibility, where abstinence and repression are designed to regulate the white body, to conquer its fleshly imperfections…” He holds that these meanings were of particular significance to Devo’s primarily white audience—an audience that could make fun of itself, but never fully break through its restrictive social mores. By refusing any attempt to adopt “the presumed naturalness” of black musicians, writes Cateforis, Devo both accepted and celebrated “the cultural contradiction of its own whiteness.” It may have done so by appropriating the musical stylings of black artists, but it transformed those rhythms and musical techniques into something particularly white—a performance of avant-garde roboticism that laid bare the problematic nature of white appropriation in a way earnest, clueless disco and rock n’ roll never could. 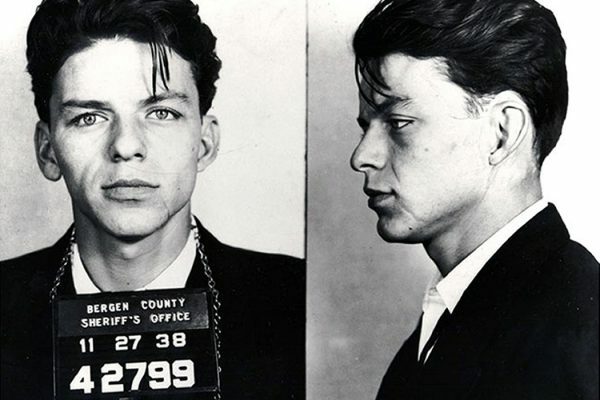 On the occaision of Frank Sinatra's centennial, we look into his radical past.